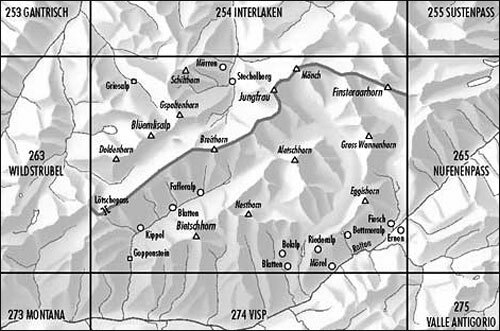 Jungfrau area, map No. 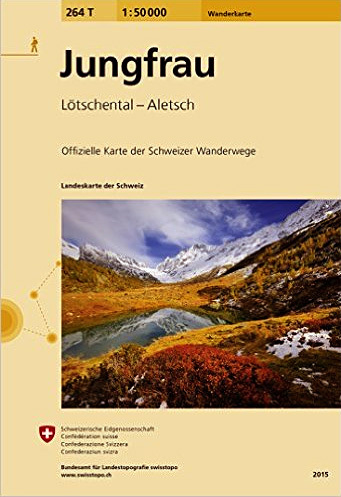 264T, at 1:50,000 in a special hiking edition of the country’s topographic survey, published by Swisstopo in cooperation with the Swiss Hiking Federation. 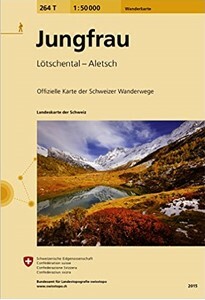 With the resort of Mürren at the top of the map, coverage includes the peaks of Mönch and Jungfrau with the upper station of the Jungfraujoch Railway, and extends southwards to cover the whole of the Aletschgletscher, the larger glacier in the Alps.